The blend of specific properties of herbs from Mynmar (Tanaka) that helps to eliminating the dirtiness out of the skin effectively and mitigating the darkly rough mark. Particularly at the armpits, things, angles and elbows. 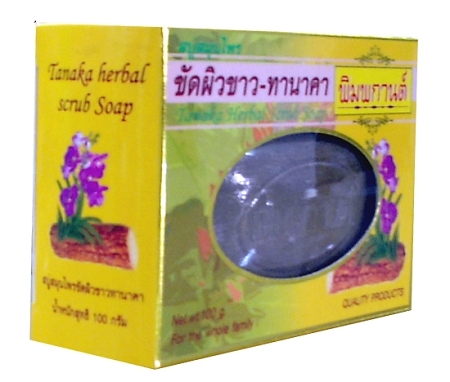 Takana Scrub Soap Bar The blend of specific properties of herbs from Myanmar (Tanaka) that help to eliminate the dirtiness out of the skin effectively and mitigating the darkly rough mark. Particularly at the armpits, things, angles and elbows.